While Murtagh takes refuge at River Run, he and Jocasta begin a budding romance, and Jamie and Claire return to meet their new grandchild, without Roger in tow. As the Frasers prepare to move on to Fraser’s Ridge without Roger, he returns, deciding to stay with Brianna and the new baby. The family’s happiness doesn’t last long, as an order comes in from the Governor for Jamie to find and kill Murtagh. The Mohawk refuse to trade for Roger due to Claire's opal, which belonged to an excommunicated tribe member. Some in the tribe secretly ally with the Frasers, wanting the stone, but their attempt to break Roger out fails. Young Ian offers to stay behind to help Roger go free. Later, Roger struggles to come to terms with what happened to Brianna and takes off. Lord John escorts Brianna to see Bonnet so she can say her piece to him, face to face, for the sake of her child. After Brianna swears to Bonnet her child will be nothing like him, Bonnet gives her a gemstone to put toward the baby’s well-being. As Brianna and Lord John leave, they run into Fergus and the Regulators who blow up the prison to free Murtagh. If I can say my piece then, maybe I can find a way to be free of him. But I have to try, for my baby’s sake. Roger is unsuccessful at earning the Mohawk's favor, and finds himself imprisoned. He and his fellow prisoner, Father Alexandre, make a plan to escape. When the Father is taken to be killed, Roger finds his window to run for it but when he hears cries of pain coming from the village, he turns back to help, resulting in his recapturing. Keeping his word, Murtagh heads into town with Fergus to find Stephen Bonnet and bring him to Jamie. In a sudden turn of events, Murtagh is arrested after sacrificing himself to help Fergus escape the guards and Bonnet is seized by the authorities. Jocasta holds a dinner with the goal of finding Brianna a proper husband. Brianna takes matters into her own hands and corners Lord John with a marriage proposal, which he at first rejects, until he sees that she is trying to do the best for her child while still holding out hope for Roger's return. Meanwhile, Jamie is heartbroken thinking he may have ruined his relationship with Brianna forever. "You are your father's daughter, that's certain." Brianna learns what happened to Roger and furiously confronts her father, leaving their newly formed relationship in tatters. After realizing they had the wrong man, Young Ian admits Roger has been sold to the Mohawk. While Brianna forces Claire, Jamie, and Young Ian to go after him, Murtagh takes her to River Run to wait out her pregnancy in safety. Meanwhile, Roger discovers another stone portal after escaping from his captors. "I can’t die like this, not here, not now. I’m going to escape. I’m going to get back to my wife." Roger searches for Brianna but finds himself forced back aboard the Gloriana by Stephen Bonnet instead. Once his duties have ended, Roger sets off for Fraser's Ridge. As he approaches, he is recognized by Lizzie. Led to believe that Roger is the one who violated Brianna, Jamie brutally attacks him and Young Ian quickly takes an unconscious Roger away without being seen by Claire or Brianna. After hearing of a couple in Wilmington fitting her parents' description, Brianna finds Jamie and is reunited with Claire, bringing them together as a family for the first time. After Brianna tells them about the obituary, the family travels back to Fraser's Ridge, where Brianna and Jamie begin to bond. Through her motherly intuition, Claire realizes Brianna is pregnant and Brianna reveals what happened to her. "These past few weeks with our daughter means so much to me. Must we lose her? I dinna want her to return to her own time, Sassenach." When Jamie and Claire attend a play in Wilmington, Jamie learns the Governor has a trap set for the Regulators, including Murtagh. He creates a diversion that leads Claire to perform emergency surgery, saving a man's life, and successfully gets word to Murtagh, stopping the ambush. "I see now why your husband claims he cannot live without you." Roger and Brianna reunite, and they wed by hand-fasting. Their happiness is short lived, however, as Roger reveals he had found Claire and Jamie's obituary, and a heated argument ensues. After Roger leaves, Brianna meets Stephen Bonnet and finds her mother's ring in his possession. When she tries to buy it back, things turn violent and he sexually assaults her. "How could I say no to a man who pursued me for two hundred years?" Against Brianna’s wishes, Roger follows her through the stones. To secure passage to the Colonies, he enlists in Stephen Bonnet's crew and becomes witness to Bonnet’s insanity. After Roger is found to be helping a mother and child stay hidden on the ship, Bonnet leaves Roger’s fate up to a coin toss, a life or death situation. "MacKenzie, there's four ports before Wilmington. I hope she's worth it." Brianna travels through the stones at Craigh Na Dun and after an injury on the road, finds herself in the home of Laoghaire MacKenzie, who is kind to her...until she finds out who Brianna's parents are. Escaping, Brianna makes her way to Lallybroch where she meets her Uncle Ian, who helps her buy passage to the Colonies along with Lizzie, a servant girl Brianna rescues from a terrible fate. "You have Jamie’s fire, and I dinnae just mean his red hair. You’re a Fraser through and through." Lord John Grey and William make a surprise visit to Fraser’s Ridge. Ill with the measles, Lord John is forced to stay so Claire can nurse him back to health. Through their differences, the two begin to understand each other. To keep William safe from sickness, Jamie camps with him in the woods where the two are able to bond as true father and son, unbeknown to William. After Lord John and William leave, Jamie presents Claire with a new wedding ring to replace the one Bonnet stole. "When you said you have nothing of Jamie, you were wrong. You have William". Jamie and Young Ian head to Woolam's Creek in search of tenants for Fraser's Ridge. When they stop into the local blacksmith, Jamie is shocked to find it's Murtagh, alive and well. Murtagh reveals he is part of a group known as the Regulators, who are working against the crown. Back at Fraser's Ridge, Claire tries to deescalate a heated moment between a neighboring family and the Cherokee, but it ends in death on both sides. "The day is coming. The day we make plain our complaints, and stand for what's right!" Jamie and Claire accept the land offer from Governor Tryon. While building their new home, they soon realize they are not welcome by the local Cherokee tribe. Jamie hunts down the crazed man dressed as a bear known as "Tskili Yona". In doing so, he gains the approval of the Cherokee and is given the name "Bear Killer". "I admire your spirit, Mr. Fraser. You are just the sort of settler North Carolina needs." While looking through a history book, Roger finds a reference to “Fraser’s Ridge.” Confirming his suspicions are true, he calls Brianna with the good news that her parents did, in fact, reunite. When he later finds an obituary saying Claire and Jamie died in a fire, he chooses not to tell Brianna for fear of breaking her heart. "Roger, I cannot tell you what this means to me." Claire makes a grizzly discovery while lost in the woods: a human skull. She is lead back to Jamie by way of mysterious footprints, which she believes were left by the spirit. Upon further examination, Claire realizes the skull has silver fillings and it dawns on her that whoever this skull belonged to was someone like her: a time traveler. Roger performs at a Scottish Festival in North Carolina, and Brianna accompanies him. After a romantic weekend, Roger tries to take their relationship to a new level but when his proposal does not receive the answer he hoped for, things turn tense between them. "I want you Brianna. I cannot say it more plainly than that." The family arrives at River Run, the home of Jamie's Aunt Jocasta. During a gathering at the home, Jocasta publicly names Jamie as heir to her estate—a position neither Fraser is comfortable with, given the estate's slaves. Claire’s medical instincts take over once again as she tries to save a slave's life after an act of rebellion, and in doing so, causes an uproar. "Maybe we can make a small difference for those in our part of the world. A spark, that might light a fuse." Following the hanging of their friend Gavin Hayes, the Frasers are surprised to find outlaw Stephen Bonnet hiding amongst their belongings. 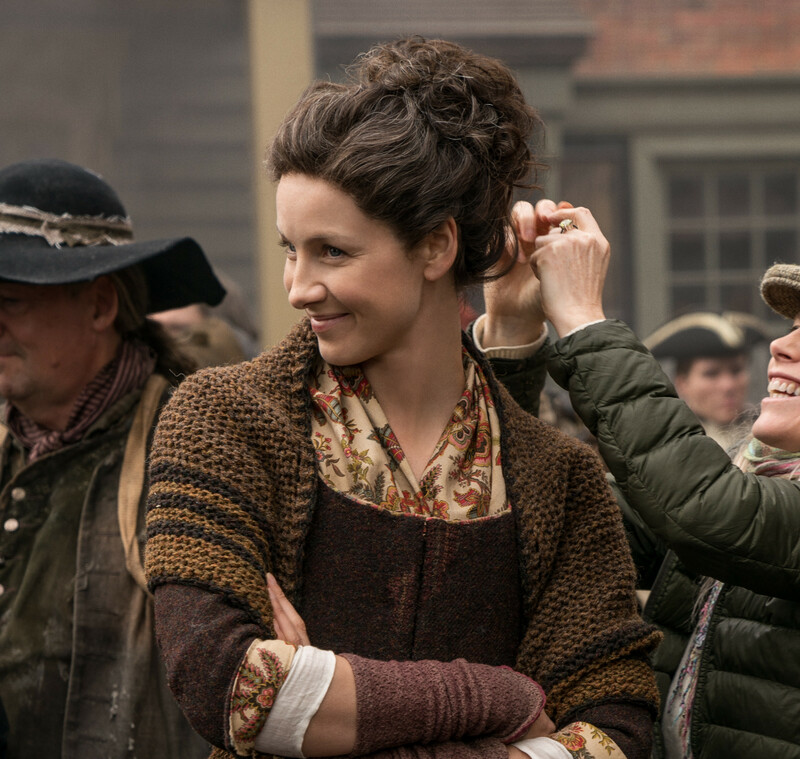 Bonnet persuades Jamie and Claire to help smuggle him out of Wilmington. Later, he attacks their riverboat with his men, stealing their money, killing their friend Lesley, and robbing Claire of one of her most beloved possessions—Jamie's wedding ring. "I beg you, sir, in the name of Gavin Hayes. He said you never turned your back on a friend." Claire and Jamie decide to forge a new life in North Carolina along with Fergus and Marsali, who are expecting a baby. Young Ian, who is to be sent back to Scotland, wins a new companion in a game of dice: Rollo the wolf-dog. When Jamie is offered a large grant of land from Governor Tryon, the Frasers are forced to weigh the lure of the American Dream against the realities of the upcoming Revolutionary War. "There will be lots of different people here from countries all over the world, all hoping to live what will be called the American Dream." Claire and Jamie set sail back to Scotland with the rest of the crew in tow, but they face a close brush with death when the Artemis is shipwrecked in a terrible storm. Against all odds, the Frasers wash up on American shores, a new life in the colonies on the horizon. Claire and Jamie attend the Governors Ball in hopes of finding more information about Young Ian’s whereabouts. There, they are surprised to learn that not only is Lord John Grey the Governor of Jamaica, but that Geillis lives on the island as well. They eventually realize Geillis is the one holding Young Ian, but Jamie is arrested by Captain Leonard before they can rescue him. Claire and Jamie rush to a rescue Young Ian from Geillis. Having heard a prophecy, Geillis believes that she must travel forwards in time to kill a ‘two hundred-year-old baby’: Brianna. Before Geillis can sacrifice Young Ian and travel through the portal, Claire kills her, ending the long journey to find Jamie’s nephew. "We are the chosen, you and I. We have a responsibility to change history." Washing up on the shore of an unknown, and apparently uninhabited island, Claire struggles to survive. After days of journeying she collapses and is found by Father Fogden, a priest who nurses her back to health. Claire is desperate to leave to warn Jamie, but when she finds out sailors are on the island, Claire rushes to find them and is unexpectedly reunited with her husband. Finally having Jamie’s blessing, Fergus and Marsali are married in a ceremony on the island by Father Fogden. Pressed into service on a British ship, and separated from Jamie, Claire faces the immense task of containing the rampant spread of typhoid aboard. Though she eventually manages to quell the illness, a young boy she befriended, Elias Pound, dies. Claire learns Captain Leonard will turn Jamie in to the authorities in Jamaica. Desperate to warn him, she takes a massive risk and jumps overboard. When Jamie tries to convince the captain to go after Claire, he is instead imprisoned. As he tries to convince Fergus to let him out and mutiny, Fergus is forced to choose between helping Jamie and protecting Marsali. 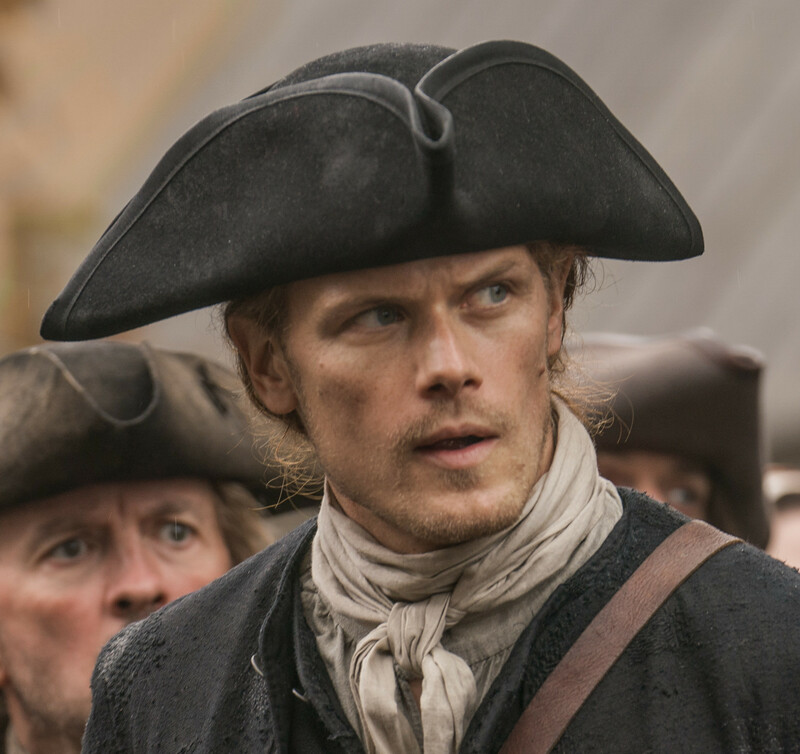 When he picks the latter, Jamie eventually reaches a deal with the Captain and, realizing Fergus’ love for Marsali is true, blesses their marriage. Jamie and Claire set sail on an urgent quest to find Young Ian. Fergus and Marsali—Laoghaire’s daughter—secretly stow away. Jamie discovers they intend to be married, much to his disapproval, but this is only the first of their troubles. When the ship is stalled without wind for many days, the superstitious crew almost mutinies. Once quelled, a British ship facing plague asks for Claire’s help. Desperate, its captain sails away with her aboard, separating Jamie and Claire once again. Claire, Jamie, and Young Ian return to Lallybroch, where Claire discovers what Jamie’s been keeping from her: that he’s married to Laoghaire. When Claire storms out, Laoghaire attempts to shoot her, but wounds Jamie. Claire is forced to tend to him, and they start to repair their rift. To pay off Laoghaire to leave them be, Jamie, Claire, and Young Ian search for the treasure previously found by Jamie in his escape from Adsmuir, but Young Ian gets kidnapped by a mysterious ship. Jamie’s separate lives as a smuggler and a printer both begin to fall apart as excisemen threaten to expose his illicit dealings. Though Fergus and Young Ian are successful in offloading Jamie’s alcohol stash, the print shop is broken into with Young Ian there, and a fire starts in a skirmish between the two men. Jamie manages to make it back to the print shop in time to save Young Ian. When Claire is attacked, she accidentally inflicts a serious head injury on her assailant. Jamie tells Claire to let him die, but Claire refuses to forget her Hippocratic Oath as a doctor and tries to save him, though she is unsuccessful. She also meets and attempts to treat Margaret Campbell, an alleged seer. After decades apart, Jamie and Claire reunite and rekindle their emotional and physical bonds. When Roger brings proof that Jamie is alive and working as “Alexander Malcolm,” a printer in 1766 Edinburgh, Claire must decide between giving up on Jamie, or leaving behind her daughter. With Brianna’s blessing, Claire travels back through the stones, arriving at Jamie’s print shop and seeing him for the first time in 20 years. "Twenty years ago, I shut the door on the past and it was the hardest thing I've ever done. When you told me he survived Culloden, I began to hope. I can't go through that again." Having found news about Jamie, and wanting to see Brianna, Roger travels to Boston, where he reveals that Jamie is alive in 1766. When Claire decides to go back in time, it pushes Brianna and Roger even closer together. Jamie, under an alias, serves as a groomsman at the Helwater estate. When the eldest Dunsany daughter, Geneva, is promised to marry a much older man, she blackmails Jamie into sharing her bed with the knowledge of his true Jacobite identity. Geneva dies giving birth to Jamie’s son, Willie. As Willie grows up and begins to resemble Jamie, Jamie leaves to protect his secret. In Scotland, Claire continues her search for what happened to Jamie after the Battle of Culloden. She is aided by Brianna and Roger Wakefield, whose romantic relationship continues to grow. The trio discover a lead detailing Jamie’s time in Ardsmuir Prison, but when the trail goes cold, Claire is forced to give up and returns to Boston. Claire realizes that Roger is a descendant of Geillis and Dougal, and tries to prevent Geillis traveling back in time to her death. They arrive too late, but Geillis’ disappearance convinces Brianna that Claire’s story is true. Roger reveals that Jamie didn’t die at Culloden, and Claire vows to go back. In 1968, Claire visits Scotland with her teenage daughter, Brianna. They meet Roger Wakefield, the adopted son of Frank’s late friend. When Brianna learns about Claire’s disappearance in 1945, Claire reveals her true parentage, which Brianna struggles to believe. Jamie spends three years in Ardsmuir Prison, of which Lord John Grey, who Jamie once spared as a sixteen year old British soldier, becomes the Governor. They form a tenuous friendship, and when the prison closes, Lord John Grey arranges for Jamie to go into service at the estate of family friends. A woman ahead of her time, Claire graduates from medical school and becomes a surgeon. Her passion for her career, however, comes at the expense of what’s left of her marriage. Over the years, Frank carries on an affair, and Brianna grows up, with Frank dying unexpectedly in a car crash in 1966. Having planned to die at Culloden, Jamie faces an unexpected future without Claire. A shell of his former self, he moves through life as a ghost, and lives as a fugitive referred to as "The Dunbonnet." When Fergus loses a hand in a skirmish with redcoats, Jamie turns himself in for the safety of his family. Claire and Frank continue to parent Brianna together, but Claire’s struggle to put the past and Jamie behind her places an irreparable strain on their marriage. Seeking a renewed sense of purpose, Claire becomes one of the first women to enroll in Harvard Medical School, where she meets her lifelong friend Joe Abernathy. After sending Claire back through the stones, Jamie faces his fate—and Black Jack Randall—at the Battle of Culloden, surviving despite his best efforts. After the battle, remaining Highlanders are captured and executed by redcoats. When their leader realizes Jamie is the man who saved his brother, Lord John Grey, many years ago, he secrets an injured Jamie back to Lallybroch. Claire awakens at Craigh na Dun back in 1948, pregnant with Jamie’s child. She’s reunited with Frank, and gives birth to Jamie’s daughter Brianna. "Maybe this really can be a new beginning...for all of us." Though the Scots gain ground by winning the Battle of Prestonpans, the dreaded Battle of Culloden finally arrives. Dougal overhears Claire suggesting they poison Prince Charles, and they are forced to kill him. Knowing Claire is pregnant again, Jamie insists she go back through the stones. Claire gets Jamie out of jail and they return to Scotland. Prince Charles publicly signs Jamie’s name to his cause, forcing his involvement. Jamie trains the army, hoping to change the outcome of Culloden, and avoids death at the hands of Lord John William Grey, a young English soldier. Claire learns Black Jack is still alive. After learning that Randall violently abused a child, Jamie duels him and is arrested. Happening upon the event, Claire miscarries their daughter, Faith. Jamie, Murtagh, and a pregnant Claire flee to France. They infiltrate high society with plans to undermine the Jacobite cause and prevent the Battle of Culloden. Jamie is captured by Redcoats after being blackmailed into joining a local raid. Claire and Jamie’s godfather Murtagh embark on a mission to find him. While awaiting execution at Wentworth Prison, Black Jack brutally tortures Jamie. Claire and the Highlanders manage to rescue him, but discover his wounds are far from just physical. Claire tells Jamie she’s from the future. He takes her back to Craigh na Dun to return her to her own time but Claire, who has developed deep feelings for Jamie, stays. Jamie takes Claire to Lallybroch, his ancestral home. At Castle Leoch, Claire is confronted by Laoghaire, a young woman spurned by Jamie. She gets both Claire and Geillis Duncan, a suspected witch, arrested and put on trial for witchcraft. When Jamie rescues Claire, Geillis takes the fall and tells Claire she is from 1968. Claire makes a run for Craigh na Dun in an attempt to get back to Frank, but is again captured by the Redcoats. Facing torture at the cruel hands of Black Jack, Claire is rescued in the nick of time by Jamie and the Highlanders. Frank continues his desperate search for Claire in the Highlands, but begins to lose hope after employing the help of a detective who is unable to uncover any leads. Claire and Jamie wed. As they get to know each other physically and emotionally, her feelings for Jamie deepen, and Claire is torn between two different men in very different times. Redcoat soldiers discover Claire and promise her safe passage to Inverness, in the company of Black Jack. He viciously interrogates her instead, telling Dougal to turn her in to the British army. Dougal suggests she marry Jamie Fraser to ensure her safety, leaving Claire in a dilemma over Frank. On a rent collecting campaign, Claire learns Dougal is secretly diverting funds towards the Jacobite cause. Knowing the Scots will be decimated at the Battle of Culloden, she tries to dissuade the clan from backing Prince Charles Stuart’s claim. The Highlanders bring Claire to Castle Leoch, seat of Clan MacKenzie. She proves herself as a healer, but is kept at the castle by the Laird, Colum, under suspicion of being an English spy. Claire grows closer to Jamie, learning of his brutal whipping by Black Jack. Later, she tries to escape, but Jamie foils her plan. After traveling back in time, Claire is attacked by sadistic English Captain Black Jack Randall, Frank’s ancestor. Scottish Highlanders come to her rescue, including War Chieftain Dougal MacKenzie and the young outlaw and warrior Jamie Fraser, whose wounds she treats. Former British combat nurse Claire and her husband Frank Randall travel to Scotland to reconnect after the end of World War II. After observing a pagan ritual at the standing stones of Craigh na Dun, Claire accidentally travels back in time to 1743.